Mozilla has released information in an add-on security vulnerability announcement providing details of two serious Firefox add-on vulnerabilities, one stealing all of your personal information and the other allowing an attacker to remotely take over your computer. The add-ons, called Mozilla Sniffer and CoolPreviews have already been identified by the Mozilla team, so before you start to worry, you will not be able to download them and potentially put your personal information at risk. The bulletin comes to educate those who have already downloaded Mozilla Sniffer (all 1800 of you) and CoolPreviews (a worrying 177,000 users have the dated add-on installed and haven’t yet upgraded) and list the potential issues associated with installing them. An add-on called “Mozilla Sniffer” was uploaded on June 6th to addons.mozilla.org. It was discovered that this add-on contains code that intercepts login data submitted to any website, and sends this data to a remote location. Upon discovery on July 12th, the add-on was disabled and added to the blocklist, which will prompt the add-on to be uninstalled for all current users. Proof of concept code for this vulnerability was posted on this blog, but no known malicious exploits have been reported so far. If a user has a vulnerable version installed and clicks on a malicious link that targets the add-on, the code in the malicious link will run with local privileges, potentially gaining access to the file system and allowing code download and execution. All users of CoolPreviews should update to the latest version as soon as possible in order to avoid exposure. Currently, 177,000 users have a vulnerable version installed. This is less than 25% of the current install base and it will continue to decrease as more users are prompted to update to a new version. Vulnerable versions will also be blocklisted very soon. 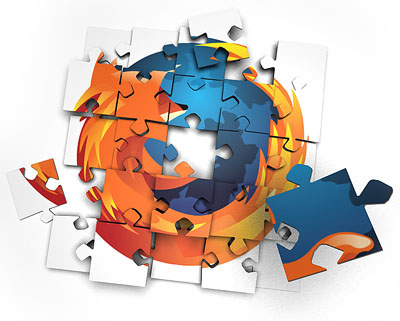 Mozilla has taken action to reduce the number of unreviewed add-ons exposed to Firefox users, implementing a new security model for its Add-ons site that requires all add-ons to be code-reviewed before they are discoverable on the site. If you have either add-on installed, we suggest you either remove them completely or upgrade to the latest version of CoolPreviews in order to reduce exposure to the vulnerability.